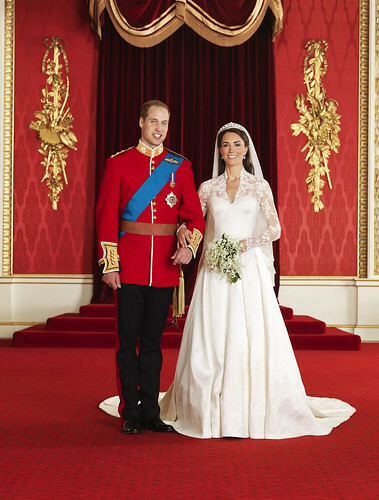 Prince William and Kate Middleton were married at Westminster Abbey in London on 29th April 2011. Royal Wedding 2011 Info covers all of the latest news, analysis, insight and discussion. The Royal Couple are now The Duke and Duchess of Cambridge. London is an incredible city, for the people who live there and for tourists visiting. There is so much to do and see in London but when there is an event like the royal wedding between Prince William and Kate Middleton on 29th April 2011 then London becomes a united city of celebration. Events like this are too few and far between and with the whole world going through some exceptionally hard times at present we are all in dire need of something good to celebrate. Don't just sit at home and watch the celebrations on television, come to London and join in the celebrations, be part of it! London has a massive choice of hotels ranging from cheap budget hostels to expensive luxury hotels but whatever your looking for we have linked up with Late Rooms to provide you with the very best hotel deals available in London. Simply use the hotel booking widget on the left hand side to search for the best deals for you. Below we will be including some useful tools and links for your trip to London. Transport for London (TfL) has issued travel advice for people intending to visit central London on 29 April to take part in celebrations surrounding the royal wedding of Prince William and Catherine Middleton. A large number of people are expected in central London on the day and TfL is working with the Government, Metropolitan Police, Westminster Council and other agencies to ensure that people travelling to and from the area can do so quickly and safely, and to minimise disruption caused by road diversions and closures. Those coming to the event from outside of London are reminded that the easiest and most convenient way to travel on London's public transport network is to use an Oyster card. These can be purchased from 270 Tube stations, from many London Overground and National Rail stations, from six TfL Travel Information Centres and from 4,000 shops across Greater London. TfL's Visitor Oyster card can be purchased online and delivered across the UK and to 58 countries worldwide. People are advised to check the TfL website to plan their route and for updates on service changes that may affect journeys. Peter Hendy, London's Transport Commissioner, said: 'There is a real sense of excitement surrounding the royal wedding, and a great many people will be coming to central London to be a part of the various celebrations taking place. 'We are working with our partners to ensure that everyone can get around safely and easily, and that people not involved with the celebrations can continue to move around the city with the minimum of disruption. 'All Tube lines will be running and our bus and streets teams will be working flat out to make sure that the closures and diversions needed are managed smoothly. The route of the wedding procession between Buckingham Palace and Westminster includes the Mall, Horse Guard's Road, Horse Guard's Arch, Whitehall and Parliament Square. These roads and surrounding areas will be subject to road closures and parking restrictions. Full details can be found on the Metropolitan Police website. In addition, the Metropolitan Police have advised that a number of other roads may also be closed for parts of the day. Road closures will be implemented from 06:00 on Friday 29 April 2011. They will be lifted as soon as possible following the event, but road users are strongly advised to avoid this part of central London throughout the day. There will also be some wedding-related closures on Wednesday 27 April between 02:30 and 07:00. As the royal wedding day has been designated a Bank Holiday this means that it will be non-charging day. All bus services will be operating a Saturday service. A number of bus services will be subject to diversion or will finish before their usual destination if they are unable to travel their usual routes through the affected part of central London. Bus diversions and curtailments commence at 05:30 and will include the following routes: 3, 6, 9, 9 (heritage), 11, 12, 13, 15, 15 (heritage), 23, 24, 29, 87, 88, 91, 148, 159, 176, 211, 388 and 453. Further diversions may be necessary should road closures be expanded throughout the day. Extra staff will be on hand to provide public information and to assist with the diversions. There will also be wedding-related bus diversions and curtailments on Wednesday 27 April between 03:00 and 07:00. The routes affected include: 3, 11, 12, 24, 29, 53, 87, 88, 91, 148, 159, 211, 453, N2, N3, N5, N11, N18, N20, N26, N29, N41, N44, N52, N87, N91, N97, N109, N136, N155, N279, N343, N381. Bus users are advised to check the TfL website before they travel. All Tube lines will be running, with no planned engineering work during the day. All of the stations close to the route of the procession will be open on the day, including Embankment, Charing Cross, Waterloo, Westminster, Hyde Park Corner and Green Park. As normal, station closures will be used if necessary to prevent over-crowding. The lifts at Green Park are currently being refurbished and will not be available on the day. The nearest station with a lift is Westminster. Watford and Croxley stations will not have a train service after 22.:00 on the evening, although replacement buses will operate. A queuing system will be in place for access to the Tube at Victoria station. A similar system may be in place for access to the overland station at Charing Cross. The DLR, and London Tramlink will operate normal services throughout the day, with no planned engineering work although London Tramlink will run a Saturday timetable. London Overground will run s full service on all branches, except between Watford and Willesden Junction where it will be suspended for engineering works. Rail replacement buses will run on this section of line. Coach parking sites have been agreed at three venues outside of the central area (The O2, Wembley and Nine Elms), with arrangements being finalised for coaches to set passengers down closer to central London. TfL is working with the Confederation of Passenger Transport to ensure all coach operators have the latest information. Information can be found on the TfL website, by contacting the TfL coach helpline on 0845 604 0770 or by emailing coaches@tfl.gov.uk. Passengers who are coming to central London on scheduled/express coach services should contact the operator or service provider for travel information. A number of Barclay's Cycle Hire docking stations that fall within the road closure area will be suspended on the day. The suspensions will commence at 20:00 on 28 April and the docking stations will reopen at 20:00 on 29 April when the road closures have been lifted and the crowds have sufficiently dispersed. Who would you prefer as King, William or Charles? How many people watched the Royal Wedding online? If Kate and William's firstborn is a girl should she have the right to become Queen even if a son follows? Should Prince William & Kate distance themsleves from Prince Andrew & Sarah Ferguson? What do you think of the Royal Wedding as it unfolds live? Who is your favourite Royal? What colour hat will The Queen wear at the Royal Wedding? Royal Wedding 2011 Info has all the very latest information, news and discussion about Prince William and Kate Middleton's forthcoming wedding on the 29th April 2011 in Westminster Abbey, London. Disclaimer - This is an unofficial website and there is no guarantee that all the information provided is factual or correct and where opinion is given, it just that, opinion. If you would like to contact us about anything then please do so here at Royal Wedding 2011. Copyright - www.royalwedding2011.info. Powered by Blogger.